Every league year is a race to attain and retain athletes. Whether you like the direction of your favorite team or not, the NFL tends to show no mercy to those questioned for their overall worth, and the concept makes sense. Teams are willing to do whatever it takes to give themselves the best advantage in the upcoming season and beyond. Fans are often in awe of the contracts given during the offseason. Need not forget that these eye-opening opportunities are rare, and often times come after a great deal of success on the field, by not only the player but the organization. This leaves a vast majority of the players around the league doubting where their future leads. "New Faces in New Places," is the theme for every offseason, especially for this year in Minnesota. Ten players will wear different colors after the decision to spend much of their cap space, around $40 million, on new additions. Fortunately for these men listen below, teams took notice of their past success on the field and opened up their checkbooks at a price that Minnesota could not afford. That is one unpleasant list to view. 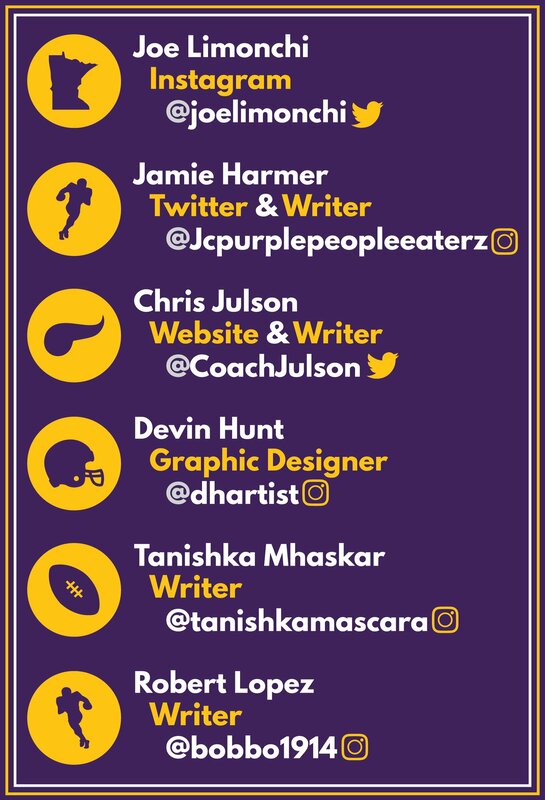 These men contributed to one of the most exciting seasons in the last decade, and I have my doubts about the organization's abilities to successfully produce the depth required to sustain the undebatable amount injuries that occur throughout a full football season. The additions of Cousins and Richardson puts an ample amount of pressure on the upcoming draft. It shows the effects of a successful season in the NFL. Teams around the league paid attention to their accomplishments, and in all honesty, I am happy for them. 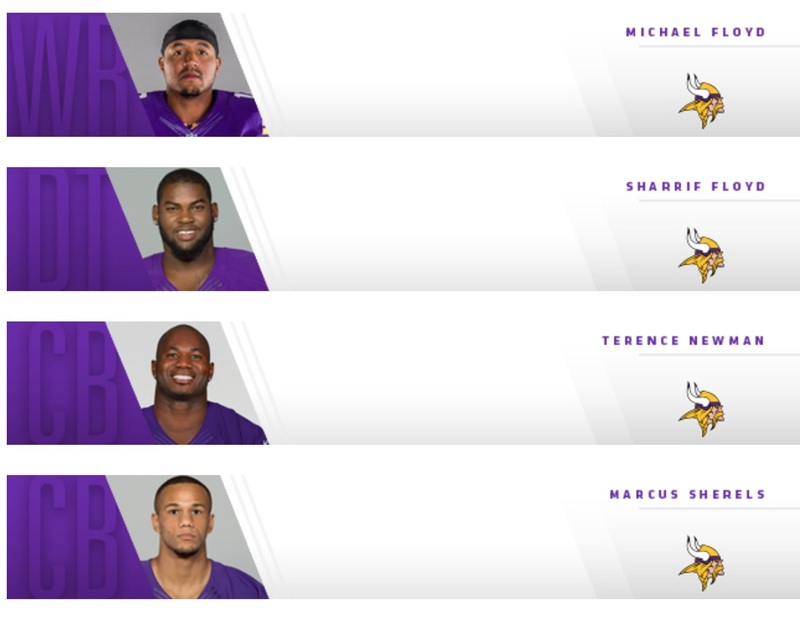 The majority of the listed players is still in question as to whether or not they will be future Vikings. They have not a clue where they will be making a living, and I am sure it is a difficult time, especially Sharrif Floyd. Fans are rarely given access to the hardships of being an NFL player, but they were given just that with Floyd, who was recently a result of a cap casualty and will not be returning to Minnesota. "Just when I thought it couldn’t get any worse. Everyone who has claimed to love me (had) walked away, left when the weights got heavy. Close friends and loved ones looking to fill [their] pockets not knowing or caring [about] anything I’m going [through]." Floyd has suffered a knee injury, and reports say his surgery was unsuccessful, possibly even the cause of the major issue. He was verbally unhappy with Mike Zimmer after being asked about Floyd's status (OUT) in an interview leading to the 2016 matchup against the Green Bay Packers, "I'm kind of used to it," Zimmer said, regarding Floyd's consistent status. I will let you decide your own opinion on if the head coach handled it poorly. Rumors have been flying around that Carolina has been in contact with the dynamic special teams player, Marcus Sherels. (surprise, surprise) It also sounds like the Vikings will be moving on from Michael Floyd. There has not been much said regarding Terence Newman's status. I believe he wants to return to Minnesota, and depth at nickel corner is apparent. The business of the league is often shrugged off and forgotten. This game is not for the weak. These athletes make an incredible amount of money, but those should be rewarded for the amount of luck, timing, perseverance, blood, struggle, determination and dedication that it takes to play America's most famous brand of entertainment. This is all for only three hours a week on Sunday during the fall and winter months. 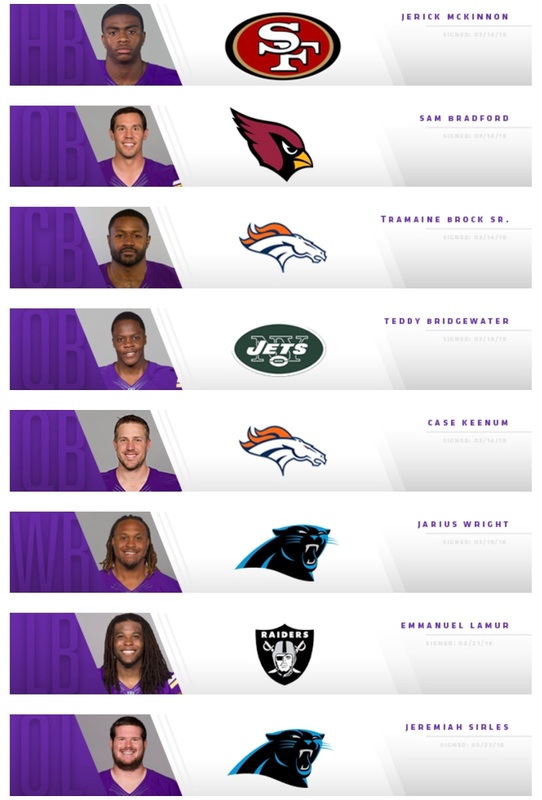 VikingNations would like to wish the best of luck to any former Minnesota Viking. Sorry fellas, our bets are still on the men in purple. Comment your thoughts below. 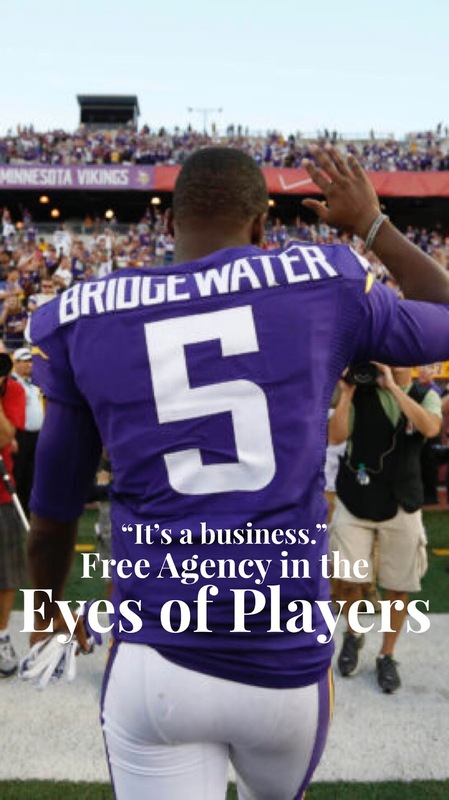 VikingNations will discuss with Viking fans the offseason transactions throughout the league.